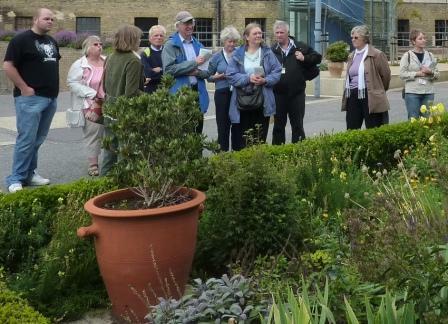 A party takes a conducted tour guided by Dr Ann Coats, Coordinator of the Friends of the Porter's Garden. At the William III bed. 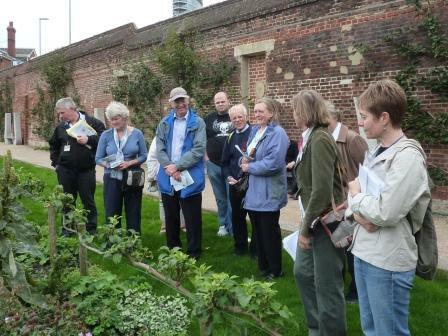 The party looks at the lawn bed bordered by step-over apples. 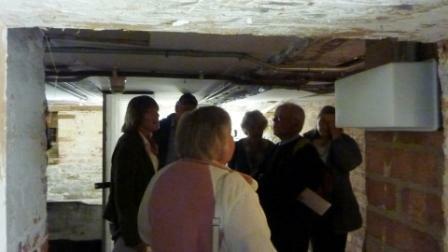 In the cellar of the Porter's Lodge, built in 1708, the dockyard’s oldest surviving building.